Lindy Hume is an award-winning director whose accomplishments include terms as Festival Director of Sydney Festival (2010-2012) and Artistic Director of Perth International Arts Festival (2004-2007). Lindy has been artistic director of several of Australasia’s major performing arts institutions including West Australian Opera, Victoria State Opera, OzOpera. 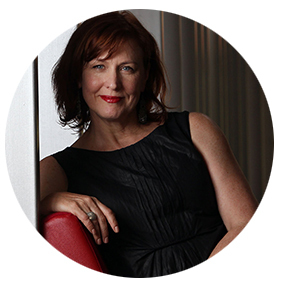 Currently she is Artistic Director of Opera Queensland (OperaQ). She has created over 50 major productions around Australia, and internationally, she has directed productions for major companies including Deutsche Staatsoper in Berlin, Leipzig Opera and Opernhaus Halle (Germany), Opera Theatre St Gallen (Switzerland), Musiektheater Transparant (Belgium), the Swedish Royal Opera House (2017), Aldeburgh Festival (UK) and New Zealand Opera; and in the USA, for Houston Grand Opera, Seattle Opera and San Diego Opera. In 2007 she was awarded the Honorary Degree of Doctor of Letters by The University of Western Australia in recognition of her contribution to the cultural life of Western Australia. A passionate advocate for excellence in regional arts in Australia, Lindy has served as Chair of South East Arts (2011-2014) and on the board of Regional Arts NSW (2010-2016). Her 2017 Currency House Platform Paper: Restless Giant: Changing Cultural values in Regional Australia imagines a future national cultural landscape in which regional creativity is a driving force. Lindy lives in Tathra, on the far south coast of NSW.